The small one! For powerful high-speed machining in micro machining up to more than 85,000 rpm TRIBOS-RM polygonal toolholders are predestined for precise machining in high speed ranges up to more than 85,000 rpm. The run-out accuracy of < 0.003 mm as well as a stability gained from the honeycomb structure form the basis of the extremely compact toolholder tapers, ensures precise and process-reliable machining. - Small and compact design. Allows a precise process reliability metal cutting. - High radial rigidity. Provides high cutting and faster processing time. Productivity is thus increased. - Quick and easy tool changes with the SVP Mini. Minimizing set-up times and costs. 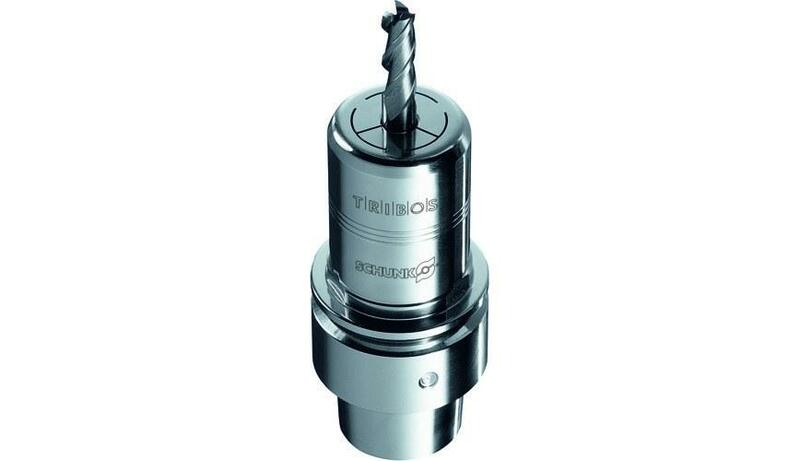 - The all-rounder for milling, drilling, reaming, and thread-cutting. No additional cost.